What is the most beautiful sight in the world? For some, it’s a beach at sunset. For others, it’s the masterpiece hanging in an art museum. And for still others, it’s the scoreboard showing the home team winning the championship. For me, it’s the image I see each Christmas Eve as God’s people sing “Silent Night, Holy Night” in the glow of their hand-held candles. Christmas Eve is, for me, a glimpse of how things are supposed to be: God’s people gathered around the ancient text, the welcoming community, and the ever-living Story of the night that God became one of us. One of my goals in the last couple of years has been to do some writing. Long time readers may remember that during the Sabbatical in 2010, I was able to take some time and begin to edit (with the help of some great friends) some of my Christmas Stories for publication. 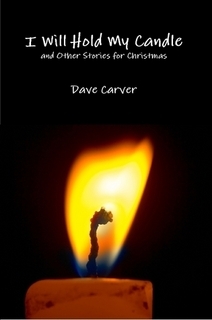 Today, I’m excited to be able to share “I Will Hold My Candle & Other Stories for Christmas”, a collection of short stories that I have written to help folks engage the Greatest of Stories in new and fresh ways. “I Will Hold My Candle” is only available online, and you can order the book by clicking the icon below. God was making a body for Christ, Paul said. Christ didn’t have a regular body any more so God was making him one out of anybody he could find who looked as if he might just possibly do. He was using other people’s hands to be Christ’s hands and other people’s feet to be Christ’s feet, and when there was some place where Christ was needed in a hurry and needed bad, he put the finger on some maybe-not-all-that-innocent bystander and got him to go and be Christ in that place himself for the lack of anybody better. Paul’s witness to the church is an amazing testimony of God’s movement in and through specific people. There are all kinds of stories about the ways that God used Paul to build his body, the Church. Yet this morning, we are going to consider a story about Paul that, so far as I know, has not made its way into any Cross Trainers or Kids Klub curriculum. OK, now it’s time for a show of hands. How many of you have ever sat in church and thought, “This is boring”? How many of you have thought, what seems to be hours later, “Seriously, this is really, really boring. Incredibly boring. Mind-bogglingly boring”? Admit it. You have. I know you have. I’ve seen it. But how many of you in this room have ever been, literally, “bored to death” in church? Nobody. It hasn’t happened. Whatever boredom you suffered at my hands or at the hands of some other preacher – well, it hasn’t killed you (yet), has it? Nope. Eutychus is, perhaps, the only person in history who has been bored to death in church. You hear the story: Paul is droning on and on and on. Eutychus is getting drowsy, and so he moves over to the window hoping that the fresh air will revive him. But the lights are low, the air is heavy, and soon he starts snoring away. Paul, unnoticing, continues to pound away at the essential points of his sermon. Hours later, Eutychus slips into such a deep slumber that he falls to his death twenty or thirty feet below. I can picture Paul, perhaps a bit miffed at the interruption, going down and bringing the young man back to life and then – get this – moving everybody back upstairs so that he can preach some more! He goes back over the main points of his message just in case the little “incident” has diverted some folks’ attention. What did Paul say? What was the sermon about? We don’t know. Nobody seems to remember the message. They remember Paul stopping by. They remember that he talked –a lot! They remember that Eutychus died, and that by the time Paul had gotten on the early train the next morning, Eutychus was asking for a second bagel. But the main points of the sermon? Nobody can recall. That got me to thinking. I remember a few things…OK, I remember a LOT of my life. I remember going to Connie Mack stadium in Philadelphia with my grandpa to watch the Phillies play. I remember how scared I was when my dad and Sharon drove me out to college and left me there. I remember Mary K Wilson and Mae Church at the grand opening of the Open Door. I remember when Ariel was born, and playing Frisbee in the park one day with Jessica Linnert and the rest of the youth group. I remember baptisms and weddings and funerals. I remember a lot. But, to be honest, most of the moments in my life have been, well, forgettable. Ask me what I was doing for lunch on November 12, 1999, and I couldn’t tell you. Ask me what I did for lunch yesterday and you’ve got maybe a fifty-fifty shot of getting the right answer. While I have many vivid memories, most of my life is a cloudy haze of very forgettable events. For much of my life, I don’t really have a clue. She came over and sat on my lap. She grabbed my beard with both hands and tried to fix my limited attention upon herself. Slowly and clearly, she repeated, “No, Daddy, what kind of day is it?” And that’s when I learned that in her life, there were “regular” days, “special days”, and “church days”. A regular day meant a trip to the babysitter’s to be with her friends there; a church day meant gathering for worship, singing, and Sunday School, and a special day meant anything out of the ordinary – sledding, visiting, fishing, cleaning – whatever. I think that most of us spend most of our lives in “regular days”. Unless something extraordinary is going on for you, I would imagine that in your life, as in mine, the big, “special”, days are relatively infrequent. Furthermore, I’d suggest that many of us are pretty good at somehow looking out for or acknowledging God on the special days. You know, when the athlete wins the MVP trophy and says to the camera, “Well, first off, I’d like to give all praise and honor to the Lord for this day…” Or when one you love is slipping into death, and you cry out, “Where are you now, God?” We expect God to be on his “A” game in those big, special days, don’t we? But the truth is that we have never seen a day wherein God’s presence has been absent. God’s molding, shaping, calling, supporting, challenging…it’s experienced all the time – even in, or perhaps even especially in, moments that are eminently forgettable. The reality is that God acts when we don’t notice. God moves when we don’t appreciate it. The passage from Job that you heard is one that I sometimes choose to read at the bedside of a comatose patient, or someone who is near death. I really appreciate that passage because it expresses the truth that God shows up in our lives all the time, in many, many ways – even when, or perhaps especially when – I fail to notice. The biblical concept that we’re talking about here is grace. God acts even when I don’t ask for it or deserve it. God speaks even when we are not, or at least do not appear to be, listening. So far as we know, Eutychus didn’t have a clue what old Paul was going on and on about. He fell asleep – for God knows how long. One moment, he was sitting there fighting back the sleepiness. And the next, at least as far as he was concerned, there was a big crowd around him making a big fuss – and he had no idea why. Even though Eutychus couldn’t specify this if you asked him to, something about what Paul said and how Paul acted changed his life in remarkable ways – but he has no recollection of it. He knows that it happened, but he can’t pinpoint exactly how it happened. This morning, as we consider the stories of Paul and Eutychus and Job, I have two hopes. First, I hope that you can celebrate the ways that God has moved in your life even when you didn’t ask him to. When did you learn what “yellow” was? Which day did you begin to read? How did you come to trust Jesus as your savior? What about all those bills that you have been able to pay over the years? Where did you know joy in playing softball, or watching a movie, or going fishing? You have been given a life that is, most days, pretty darn ordinary. Yet the scripture is clear – God is pulsating through every fiber of that life just as sure as there is blood pumping through your aorta right now. You may not be able to sense or apprehend either the presence of the Lord or the flow of blood at this moment, but I can tell you that it’s there. Let me ask you to take a moment now and just notice that. Be quiet for a moment. Feel your heart beat – even when you haven’t told it to. Breath in, and allow the alveoli in your lungs to transfer the oxygen into your bloodstream. Did you ask for any of this? Did you know it happened all night last night? It is a grace in your life! A forgettable grace. Be thankful for the God who lives and moves and has his being in you! You have dwelt in God’s grace today! July 17, 2011! I hope that you will celebrate that! And in the context of this hope that you are able to claim and be shaped by God’s presence – even when you cannot sense it – my second hope is that you would recognize your role as an agent of that grace in someone’s life today. You have the opportunity to help someone else apprehend the working of God in his or her life – even as God is at work in yours. Let’s be honest. Most of what you do in the next twenty-four hours is not going to make the news. Heck, most of us won’t be able to pull off a halfway interesting status update for our Facebook pages. By and large, we lead unremarkable lives. But your presence – your encouraging, praying, loving, hoping, calling, inviting, grace-filled presence can be the backdrop against which God chooses to illuminate a little glimmer of his work in the life of another person today. The simple act of you showing up and paying attention someone else’s life can somehow alter the world for that someone else in ways that neither one of you could predict or even appreciate. Paul preached what was, perhaps, the most boring sermon in the history of sermons. It certainly was, at least if you measure that by deaths by boredom per congregant. Yet God invaded that space and changed Eutychus and the world forever! In the same way, can you be faithful in the anonymous places that you go today? Can you be a person of integrity in all the forgettable actions that you’ll undertake? Can you be present in the unremarkable conversations you’ll have in ways that reflect God’s faithfulness in your own life? God’s grace is here. God’s grace infuses every breath you take. Every blink of your eye. Every beat of your heart. It’s a gift that you don’t deserve. You will forget a great deal of it…but it has changed you, and it is grace nonetheless. Be that grace today in the lives of those around you. Thanks be to God for his grace. And for you. Amen. Frederick Buechner, Peculiar Treasures: A Biblical Who’s Who (Harper & Row, 1979, pp. 129, 132). When I say that the subject of the Bible Stories and skits this week at Cross Trainers was Daniel, what do you think of? What are some of the parts of Daniel’s story that stick out in your memory? – had some of the most confusing prophecy in the Bible! Like Moses last week, the story of Daniel contains a lot of episodes, doesn’t it? Although this book is just a few pages long, it covers a lot of ground. And whereas when we talked about Moses, we weren’t quite sure about the dates and the timing for everything, the book of Daniel is pretty specific about chronology. Most of us don’t realize that, however, because not everyone keeps time in the same way. Oh, usually now, around the world, we have a common calendar, and so when I want to make sure you know when my birthday is, I say June 22, 1960 (if you forgot this year, it’s not too early to start planning for next year). That’s another way of saying the twenty-second day of the sixth month in the one thousand nine hundred and sixtieth year after Christ’s birth. But I could also ask you what event happened on the eleventh day of the ninth month of the first year of George Bush’s presidency, and you would say that was the day that terrorists attacked the USA and used hijacked planes to destroy American lives and buildings. The book of Daniel opens with a reference to a calendar event: in the third year of King Jehoiakim, King Nebuchadnezzar attacked Jerusalem. You may not have heard of either of these kings, but historians tell us that this event took place in about 605 BC. Verse 4 of chapter one tells us that Daniel was a “young man” at the time – a Hebrew word that is generally used to describe someone who is between the ages of 13 and 15. And Daniel chapter 1 ends with a note that he remained in Babylon until the first year of King Cyrus. Again, that may not mean a great deal to you, but the records indicate that to be in about 538 BC. Let that sink in for a moment. Daniel was taken to the palace in 605 BC to serve this foreign king when he was, say, 15 years old. And 538, when he was 82, he was still there. The dates are sprinkled throughout the book. He rose to prominence as a young man – he was probably still a teen when he interpreted the king’s dreams. Later, he watched his fellow captives be thrown into the furnace for refusing to compromise on their faith. How old do you think he was when he was put into the lion’s den? Would you believe he was in his 80’s? 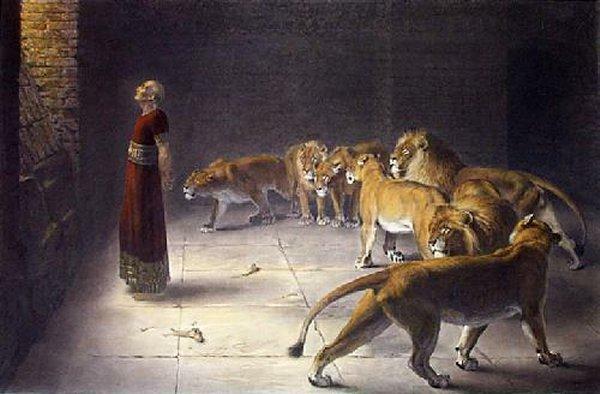 Daniel was prophesying and having visions well into his 80’s. Can you imagine that? Seven decades of seeking to be faithful in a place that was not his home. Nearly seventy years of trying to serve God while facing challenges that nobody in this room can even dream of. If Daniel’s career were put into our lifetimes, it would be as if he came over to the USA and began to work with Franklin Roosevelt and served every president since then. And that leads me to Anna, the subject of our Gospel reading for today. Luke tells us that she was 84 years old and still going to the Temple every day. What did she do in the Temple? She was fasting and praying. In other words, the people who were hoping for something that had not yet happened were listening to Anna. While a big part of her story may have been to remind people of where they had been, she also kept them looking towards where they were going. Do you see? 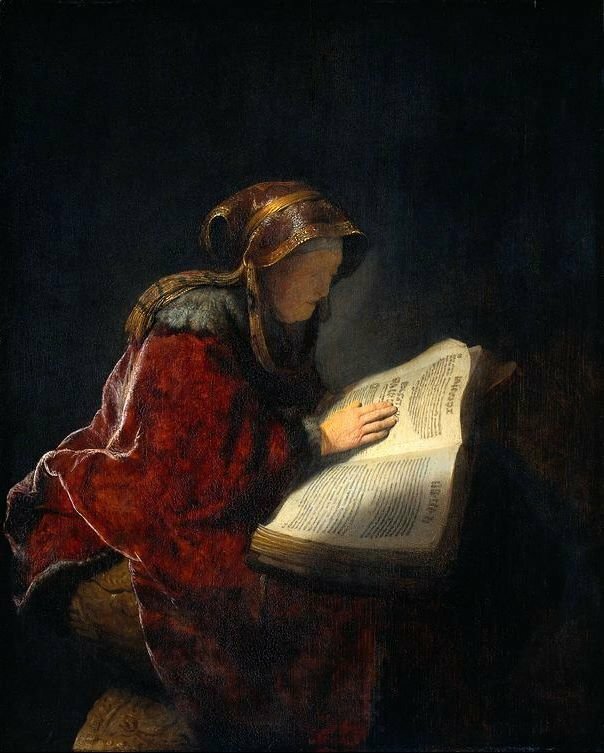 Anna (like Simeon, just a few verses earlier), is presented by Luke as a wise elder who is looking into the future for signs of God’s presence and activity. These people about whom we’ve read today – Daniel and Anna – are good examples of the fact that the Biblical expectation is that a faithful life is a long-haul adventure. Being alive in relationship with the Lord is a journey that takes many twists and turns and the norm is for that journey to last a lifetime. Last week, we talked about Moses. Do you know how old he was when he saw the burning bush? About 80. And he led God’s people for at least another forty years, according to scripture. David was anointed as a young boy, but died an old man. John was called by Christ to come and follow him while he was still a teenager and died in Ephesus decades later. The Apostle Paul was raised in the Jewish faith, but came to embrace Christ and spent years and years leading people to a new appreciation for the ways that God was at work in the world. All of these people, and others like them, remind us of the notion that a healthy spiritual life is one characterized by growth, vibrancy, and even change. There is give and take in the lives of each of these saints. For them, and countless others, a life of faith was a vocation that was lived into each and every day – their practices and beliefs were always evolving; their capacity to know and be known by God was always deepening and growing. And all of that leads me to remembering a conversation I had with a member of this church about twenty-five years ago. Some of you will remember Margaret Irwin, who when I met her asked me to call her “Nana”. I never knew her as a young woman, but understand that she was a stickler for certain things around here. She was, may I say, a commanding presence. I was about twenty-five years old and we were just getting the idea of the Open Door off the ground. As you can imagine, there were a lot of problems and uncertainties. Some people were nervous about a new venture like this. Nana knew something of the biblical expectation that our faith is alive and growing. And she was right – that growth is not something that is always recognized or valued in our culture. Too often, we see life as a series of milestones that are reached – and then forgotten. For instance, do you remember when you got your driver’s license? One day, you couldn’t drive. The next day, you could. Really? Well, as far as the Commonwealth of PA and the people at your insurance company were concerned, that’s how it happened. The reality of course, is different. You are a different – and hopefully better – driver than the day after you sat for your first photo at the DMV. But that’s not how you saw it then, is it? Nope. You could drive. Stay off my back, Dad. I have my license! What about the people who work hard to make it through High School or college, and then never read another book? You know that there are people in our community who believe that education is something that is only for the young. When you get older, you know the answers. But it’s not just about education or training. Think about politics. What happens if someone runs for office and happens to mention that she is all for the rights of left-handed people to wear miniskirts in public – but then her opponent comes out with an interview from ten years ago where the very same person said that she thought it was a bad idea for lefties to have anything above the knee? In politics, if you change your mind, it’s a sign of weakness. You’re waffling! You’re a flip-flopper! Look, I’m all for consistency, but we have to realize that sometimes, we learn things along the way that allow us to change our opinions or behavior, right? It was funny television…but a sad relational lesson. In fifty years, the you that married her has changed. The she who married you is different. The relationship has grown and deepened, right? Please say yes! You’re not the same as you were on your wedding night! If we are to be faithful disciples, we are to be growing. We are sure to be growing older…but we’ve got to make sure we’re growing in faith, too. And that brings me from Daniel, to Anna, to Nana, to you. What questions are you asking now? Where are you growing? Where are you getting a little antsy in your faith? What do you question now that you were sure about ten years ago? What are you sure about now that you questioned ten years ago? Where are you alive and moving? Where are you stiffening? How are you growing and encouraging someone else? Most of you, at one point or another, stood in front of the room and answered the questions of faith: Who is your Lord and Savior? Do you trust him? Do you intend to be his faithful disciple, to obey him, and to show his love? And when you stood here, you gave the right answer. And probably, you’d give the same answers if I asked you again today. But somehow, your YOU would be different, right? Is your faith alive and growing as you age, or would you simply be parroting an answer you knew to be “correct”? Here in Pittsburgh, we have two remarkable institutions. If you came with me to the Carnegie Museum of Natural History, we could walk past a display of birds from all over the world. You could see them close-up. We could explore the different kinds of feathers, the sizes of their eggs, and the shape of their beaks. It’s easy to do at the Carnegie, because all the birds there are dead. They won’t move a bit. They are laying there on the shelf – the same shelves they’ve been on for fifty or a hundred years, slowly fading, slowly rotting. 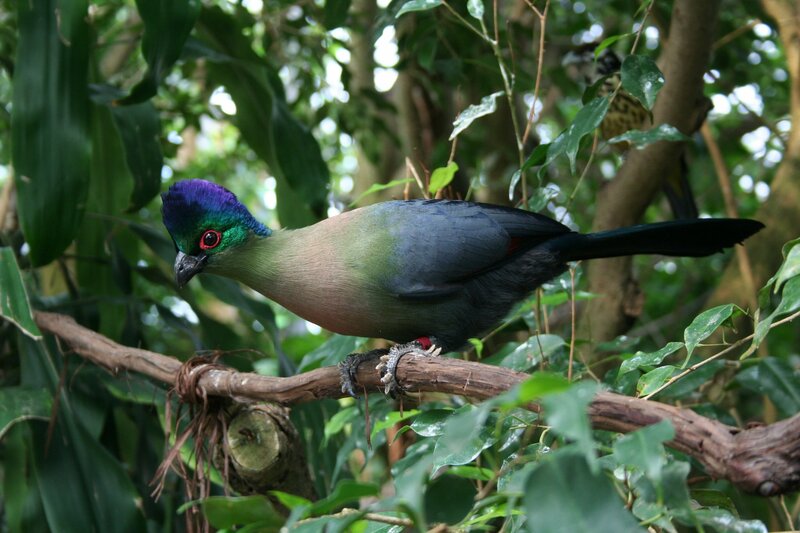 But if you came with me to the National Aviary, you’d also see hundreds of really cool birds from all over the world. Some of them, of course, would be difficult to see. They move fast, and they don’t come that close. Sometimes they hide in the trees. It’s loud. Usually, at least one of them poops on me. But every bird we’d see at the Aviary is alive. Here’s the deal, folks. When it comes to faith, no matter how old I get, I want to stand with Daniel, Anna, and Nana. I want to say that I hope my life and my faith always looks more like the Aviary than the Carnegie. I know that means that there are days where it will be loud, and confusing, and messy. There’s a lot of poop that you just can’t avoid. But I know that biblical faith is alive. And alive is how God made us to be. Will you join me in looking ahead in faith? Let me encourage you to think now about one step you can take that will help you to deepen your walk with the Lord in the year to come. A new study. A book to read. A conversation to share. Change your lives, people. Not because they’re necessarily bad now, but because if you don’t or can’t change, you might be dead. God’s church is a living and breathing entity, not a museum. Thanks be to God for faithful witnesses who help us remember that across the decades, the centuries, and the millennia. Amen. Mark Twain has been a favorite of mine since my days as an English Major at Geneva College. The War Prayer, one of the most haunting pieces that he ever wrote, was not published until several years after his death. According to one account, he wrote it in 1905, five years prior to his death. His family tried to dissuade him from publishing it; he was rejected by Harper’s Bazaar. He told his illustrator, Dan Beard, “I don’t think the prayer will be published in my time. None but the dead are permitted to tell the truth.” Harpers eventually published this piece in 1916, on the eve of the US entry into World War I.
I share this, not to try to press any of your political buttons, but because I think that it asks some important questions about the way that I pray. Perhaps it will ask you some important questions, too. It was indeed a glad and gracious time, and the half dozen rash spirits that ventured to disapprove of the war and cast a doubt upon its righteousness straightway got such a stern and angry warning that for their personal safety’s sake they quickly shrank out of sight and offended no more in that way. Sunday morning came – next day the battalions would leave for the front; the church was filled; the volunteers were there, their faces alight with material dreams – visions of a stern advance, the gathering momentum, the rushing charge, the flashing sabers, the flight of the foe, the tumult, the enveloping smoke, the fierce pursuit, the surrender! – then home from the war, bronzed heros, welcomed, adored, submerged in golden seas of glory! The stranger touched his arm, motioned him to step aside – which the startled minister did – and took his place. During some moments he surveyed the spellbound audience with solemn eyes in which burned an uncanny light; then in a deep voice he said “I come from the Throne – bearing a message from Almighty God!” The words smote the house with a shock; if the stranger perceived it he gave no attention. “He has heard the prayer of His servant your shepherd and grant it if such shall be your desire after I, His messenger, shall have explained to you its import – that is to say, its full import. For it is like unto many of the prayers of men, in that it asks for more than he who utters it is aware of – except he pause and think. For the next couple of weeks, I’m going to be preaching about some of the heroes in our faith. This is because I’m trying to support the ministry of our Cross Trainers ministry – all week, the kids in the camp will be learning about various Bible personalities, and I thought that if we came back to it on Sunday, it would be an affirmation of their week’s learning. This week, that was deliciously true as young Rueben (9) and Ruby (7) showed up almost 2 hours early for worship. I fixed them a little breakfast, applied band-aids to the scrapes Reuben had gotten on his way down the hill, and set them up to do some coloring and movie watching until worship started. I’m delighted to report that because of all their time in camp, they knew most of the answers about Moses. It was a good thing! Monday mornings at CHUP are great just about all year round. During the school year, we’ve got the preschool families coming in and out and they bring a lot of energy and excitement. And of course in the summer, we start our Cross Trainers weeks – each Monday, we introduce a new theme. One of the more entertaining ways in which these themes are brought to light is through a skit that the staff puts together. Somehow, our leadership team comes up with a brief “drama” that communicates the essence of that week’s theme. O-kaaaay. The entire story of Moses. In about three minutes. And it should be funny. Right. What would you say? Tell me something that you know about Moses. – He saw the burning bush, and God compelled him to return to Egypt. – When he got back, he made things harder for the Israelite slaves, at least at first. – He died on Mt. Nebo, where he could see, but not enter, the Promised Land. That’s a lot to try to fit into three minutes, wouldn’t you say? The Cross Trainers sure had their work cut out for them, trying to talk about Moses in three minutes. Good thing for all of us I’m not under that kind of time pressure…we have allllll day…. In all seriousness, that got me thinking. What is the big deal about Moses? What would I say is the important thing about his life? If you gave me a minute, what would I tell you about the story and person of Moses? Think about that for a moment. He was born in a nation whose government tried to murder him upon his birth. He grew up in an adoptive household. His own people didn’t trust him because of his relationship with the Pharaoh. He fled to another country, and when he got married and had a son there, he named that child “Gershom”, which in Hebrew means “alien” or “stranger”. Our reading for today shows Moses being sent by God on a job he didn’t want to a people who didn’t want him with the goal of bringing that people into another country where they were considered illegal immigrants and invaders. He was on the fringe of a lot of worlds, wasn’t he? And it seems to me that that’s a huge part of his story that we need to hear if we are going to be able to learn anything from his part in our stories. What does it mean to be someone who can be comfortable standing apart from the crowds? Isn’t that the key question of human existence? How you answer that question, and who you allow to help you answer it, will determine a great deal about the you that is yet to come. If there is any entity to which ultimate loyalty is due, it is the nation state. In the twentieth century we have become accustomed to the fact that – in the name of the nation – Catholics will fight Catholics, Protestants will fight Protestants, and Marxists will fight Marxists. The charge of blasphemy, if it is ever made, is treated as a quaint anachronism; but the charge of treason, of placing another loyalty above the nation state, is treated as the unforgivable crime. The nation state has taken the place of God. So that’s one answer: Who am I? I’m an American. As if the nation of my birth defines all that there is to know about me. There are other ways that we learn the answer to that question, of course. In our day and age, perhaps as strongly as you sense your role as that of a citizen, you are told that you are a consumer. You know who you are, the ads all say, by what you buy – it is the labels you wear or the brands you flaunt that tell us who you are. In too many places, you are known by what you throw away – by what you consume. Your stuff tells you who you are. Maybe you know that we have an old red Volvo. It is, quite possibly, the ugliest vehicle ever manufactured. It’s two tone…now. Wasn’t always that way, but that’s how the paint has aged…and yesterday, my wife said to me, “You know, it’s a good thing I don’t base my sense of self on the car that I drive. It’s really, really ugly.” But isn’t that what happens so often: we are told that the more stuff you have, and the better that stuff is, then the bigger and better person you must be. It’s a myth, of course, but we believe it too often, don’t we? And all of us, of course, learn something about who we are from our family and friends. I have a friend who grew up as the child of an addict and was told several times a day, “You are nothing. You will never amount to anything. You are stupid and lazy.” Ever since he was four or five years old, that’s the message that came from the important people in his life. And, lo and behold, that’s what he came to believe about himself – never realizing that the only reason his father told him that every day was that his father needed to have someone lower on the scale than he was to make him feel good about himself. Now, this man spends his days hiding in an alcoholic fog and holding terrible jobs…because he’s come to believe that he is nothing but stupid and lazy. He has become that which he was told he would be. It is a tragedy. Contrast that with another friend who was told by her parents every day of her life that she was a beautiful child of a God who loved her very much. When she was in High School or college and went out with friends or on a date, her dad would smile and say, “Have fun. But remember who you are…” She grew up knowing that she had an identity that was different from those of her friends and peers – and holding on to that identity has allowed her to make some very difficult choices, and feel good about them. 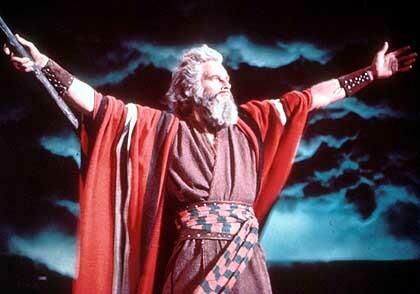 Back to Moses – the person that we might call the most important figure in the Old Testament. He certainly gets as much ink on those pages as anyone else. Why was Moses able to do the things that he did? I would suggest it was because he listened to God’s voice, he served with God’s people, and he did not allow other people to define him. He was not afraid to stand apart from the crowd. The Apostle Peter, writing thousands of years later, reminds his friends of those core truths. He tells them that knowing their identity is the key to faithful living. Here he is, writing to a small group of Christians who have all had to flee from their homes. These people have been driven to other cities and countries because of persecution – they’ve lost their national identity, they’ve lost families, they’ve lost their stuff – yet he reminds them that they have not lost themselves. Wherever those believers found themselves, they needed to know that they were God’s own people, called to point to what God was doing in the greater world. You belong, says Peter, not because of what you buy, or how you vote, or who you pal around with. You belong because God has called you together. It is in the strength of that shared calling that Peter’s friends can know their identity. Every day, every single person in this room makes decisions about your identity. Every day, we think about and decide how we will be known and how we will engage the world around us. For some, there is a great temptation to sit home, lonely and worried, because your phone isn’t ringing. In the quietness of your day, you fear that you are insignificant, that you must not matter, because the people you wish were paying attention to you are not doing so. Others have decided to allow fear to rule in our lives because we don’t think that we can ever escape the shame of what happened ten or twelve years ago, and if the other people in this room knew what we were really like…well, we couldn’t handle that, so we keep ourselves wrapped up and refuse to risk anything in relationships. Some people in this room will spend some time this week in places that they don’t really want to be – you will go where you don’t want to go, and drink what you don’t want to drink, or smoke what you don’t want to smoke, or do what you don’t really want to do, all in the hopes that if you go, drink, smoke, or do that thing, then you will be loved. We will allow someone else, or some other circumstance, to define us. And all of us have to decide every day who we will sit with, or drink with, or sleep with…and how and why we will do each of those things. Yet as important as all of these things are, none of them gets to define us. None of them gets to tell us who we are. Moses and Peter and all the saints of God in between them and since them have reminded us that we know ourselves best when we remember that we are called by God to walk closely with others and to spend ourselves in a cause that is amazing. I don’t imagine that Moses always enjoyed living life on the edges. I’m pretty sure that on a lot of days, given his choice, he’d have preferred to simply go along with whatever crowd happened to be in front of him. But in his ability to sense that calling from God and to grow in it, Moses led the people of God into their own destiny. I do not think that too much has changed. I think that God is looking at you, calling your name, telling you to take off your shoes because the ground is holy, and then asking you to follow his leading. His leading. Not your country. Not your family. Not your stuff. Those are all good things, Lord willing. But none of them is worthy of being able to define you. God has called you and has equipped you for magnificence – live into it. Thanks be to God for the people of God. May we be increasingly able to hear his voice and to allow that voice to shape us – to free us from fear, to embolden us for ministry, and to equip us to be his body moving in this place at this time. Amen.